"Asmat food aid from Police and Bhayangkari Police Sarmi and from Polres and Bhayangkari Merauke Police has been handed over to Satpol Air Polres Mimika to be continued to Asmat"
Timika (Antaranews Papua) - Humanitarian aid for the victims of measles and malnutrition continues to be sent to the District of Asmat, Papua Province, including from the ranks of Police Sarmi and Merauke Police. 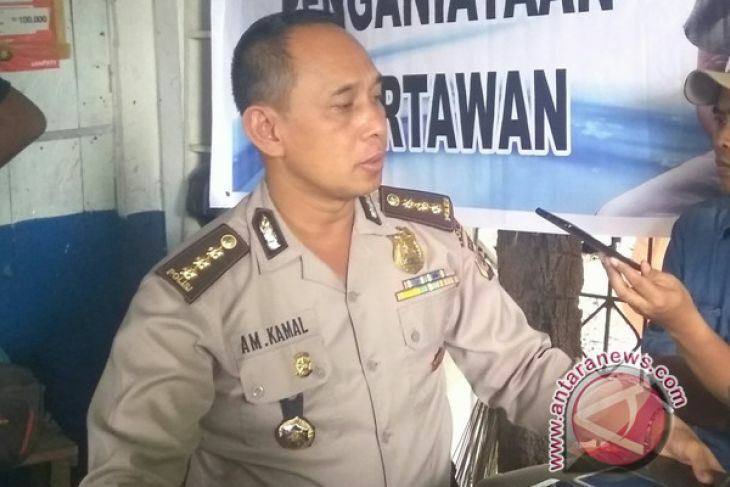 Head of Police Public Relations of Papua Pol Kombes Pol AM Kamal who contacted from Timika on Sunday, said that food aid from Polres Sarmi was handed over by Sarmi AKBP Police Chief Paul Izak Saukoly to the Mimika Police Unit Police Unit 2 Mimika Police Commander in Paumako Port Timika on Sunday. "Asmat food aid from the ranks of Polres and Bhayangkari Police Sarmi and from Polres and Bhayangkari Merauke Police has been submitted to the Satpol Air Police Mimika to continue to Asmat," said Kombes Kamal.The distributed aid is the type of foodstuffs such as rice, sugar, milk, biscuits, instant noodles and bottled water. "This assistance is a form of solidarity of the Police against the people in disaster, hopefully it can ease the burden of the people and they can recover quickly," said Kombes Kamal. A number of polres in Papua such as Tolikara Police had previously handed over the assistance of victims of measles and malnutrition in Asmat District.The Papua Police also deployed a humanitarian team of health doctors to help treat measles patients and malnutrition cases in Asmat District. In addition to the Papua Police, the health team currently in Asmat also came from the TNI Headquarters, the Ministry of Health and various other related elements.Data collected Between from Asmat regency, cases of measles outbreaks and malnutrition that hit the area since September 2017 to early January has killed 67 people.Most of the victims died in the District (District) Pulau Tiga as many as 37 people in Kampung As as many as eight people, Atat as many as 23 people, Kapi as many as two people and Nakai as many as four people, Furthermore, there were 14 deaths in Fayit District, one person in Kampung Isar, Nanai one person and Pirien 12 people. The death toll in Asui District is eight people in Kampung Bawas five people and in Tauro Village three people.While in Akat District, the number of casualties died as many as four people and the victims who died after being treated in RSUD Asmat as many as four people consisting of two patients with measles and two patients malnutrition.